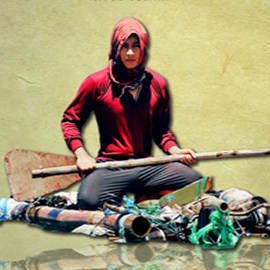 We list encounters where the wrath of the fierce Bisaya was unleashed. (SPOT.ph) Who doesn’t know Annabelle Rama? She started out as the supporting character to actor-husband Eddie Gutierrez and then later on her showbiz-bound kids, daughter Ruffa and twin sons Richard and Raymond. These days, Rama is a showbiz personality in her own right. Once a starlet in forgettable racy flicks in the 1970s, Rama is now making bigger waves as a talent manager. Heck, she even scored her own movie, My Monster Mom, in 2008 and recently revealed that she’s running for Congress. Spat origin: Bektas, who's described as a Turkish businessman, was once married to Rama's only daughter, Ruffa Gutierrez. The two, who had gotten married in 2003, announced their split in May 2007. Gutierrez also claimed that Bektas had been a physically abusive husband. There was no love lost between Rama and her son-in-law. The Bektas-Gutierrez marriage was declared annulled in January 2011. Spat origin: A PEP.ph report revealed: "(The Rama-Solis) rift started when Annabelle’s daughter, Ruffa Gutierrez, revealed that she was snubbed by Lolit’s talent, Lani Mercado, at the birthday party of a GMA-7 executive. Lolit, in defense, of Lani, said some things about Ruffa that offended Annabelle. This started a word war between the two feisty women." The two women made peace that same year. Her action-packed tirade: In an interview with TV Patrol's Mario Dumaual, Rama told Solis: "Ngayon di mo ako nirerespeto dahil kinakalaban mo anak ko, pati mga apo ko tinatamaan mo. Ngayon Lolit Solis, kung matapang ka, hinahamon kita. Sabihin mo saan, ano’ng oras, gusto mo mag-upakan tayo ngayon din, okay sa akin (Now, you don't respect me because you're slamming my daughter and you're even slamming my grandchildren. Now, Lolit Solis, if you're really tough, I dare you. Tell me where and when-if you like let's just have a fistfight right now, it's okay with me)!" 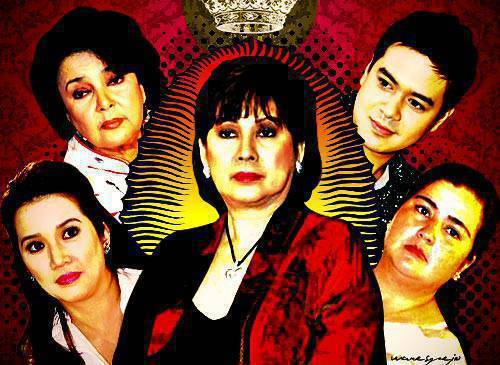 Spat origin: Rama accused then-GMA Network senior vice president Wilma Galvante of playing favorites. As such, Rama alleged that her talents, which included son Richard Gutierrez and actor JC de Vera, were being ignored. The two ended up suing each other. However in March 2012, it was reported by SunStar Manila that the two women have made peace-thanks to the efforts of Regal Films boss Lily Monteverde. Her hellish diatribe: In a radio interview with showbiz reporter Ogie Diaz at the height of their tiff (as reported on PEP.ph), Rama had said, "Kailangan si Wilma magsimba araw-araw para ang sungay niya matatanggal sa katawan niya. Satanas 'yang Wilma na 'yan! Satanas 'yan (Wilma needs to go to church everyday to get rid of the horns that have long grown on her body. Wilma is Satan! She is Satan)!" Spat origin: As reports about daughter Ruffa Gutierrez's dates with actor John Lloyd Cruz heated up, Rama got exasperated over the fact that Cruz didn't really acknowledge his relationship with Gutierrez. Her public ultimatum: In an interview, Rama was asked to address Cruz. PEP.ph quoted Rama, who said, "John Lloyd, magpakalalake ka, okay? Kung in love ka sa anak ko, umamin ka in public! Kasi, I don’t think nakakahiya si Ruffa kung... Nakakahiya yun kung hindi mo siya inaamin, di ba? Para naman siyang kept woman, di ba (John Lloyd, be a man, okay? If you're in love with my daughter, admit to it in public. I don't think Ruffa is someone you'd be ashamed of. It would seem that you're ashamed of your relationship if you don't admit that you're together, right? That would make her like a kept woman, right)?" Spat origin: In March 2010, ABS-CBNNews.com reported that The Buzz co-host Ruffa Gutierrez was reportedly pulled out from the show by mom-manager Rama because she thought Kris Aquino kept stealing the spotlight from Gutierrez. At that time, Gutierrez was saying goodbye to the ABS-CBN show because she had signed with TV5. Her anti-Noynoy rant: The ABS-CBNNews.com report noted that in an interview, Rama addressed the public with these fighting words: "Kaya ako'y nananawagan sa taumbayan na huwag niyo na iboto si Noynoy [Aquino, Kris' brother running for the presidency], kasi hindi pa nga nananalo si Noynoy eh ang yabang-yabang na ni Kris. Akala mo siya na ang may-ari ng showbiz (I'm calling out to the public and asking them not to vote for Noynoy. He hasn't won yet and Kris is already full of herself. She thinks she owns showbiz)." 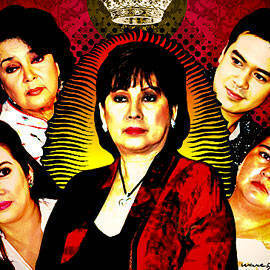 Spat origin: Rama was reportedly fuming mad when actress Evangelista abruptly decided to quit being one of her talents. As it turned out, Evangelista's mother Cecile Ongpauco stepped in as her manager. Ongpauco naturally also earned Rama's ire. Her enraged declaration: The Philippine Daily Inquirer reported that during an October 2010 lunch gathering she hosted for the press, Rama sized up Evangelista thus: "Naging star lang siya dahil sa akin kasi matagal na siyang nalaos! Wala siyang project, sa akin lang siya nabuhay. Binuhay ko lang ang kanyang patay na career (She became a star because of me. She was a has-been. She had no project, I built her up. I breathed life into her dead career)." <>Spat origin: According to an ABS-CBNNews.com report, Rama and fellow talent manager Pangilinan-Valenciano's tiff started when the latter allegedly advised Ruffa Gutierrez to avoid cosmetic procedures. Gutierrez reportedly got offended by Pangilinan's unsolicited advice and told Rama about it. So, when Rama ran into Pangilinan-Valenciano-who's the wife of singer Gary Valenciano-at Ogie Alcasid's birthday party in August that year, she reportedly confronted the latter. Reports alleged that Rama had called Pangilinan-Valenciano "ugly" during their encounter. <>Her defense post: Shortly after the incident at Alcasid's birthday party, Rama tweeted: "Nabasa ko sa newspapers kahapon na galit daw sa akin si Gary V. Sana mabasa ni Gary itong tweet ko. Dapat magalit siya sa asawa niyang chismosa at mahilig makialam sa buhay ng ibang tao (I read in the newspapers yesterday that Gary V. is angry at me. I hope Gary V. reads my tweet. He should be angry at his wife who's a gossipmonger and likes to mind other people's business)." <>Spat origin: In December last year, Montenegro accused Rama-who used to be the manager of her daughters Alyanna Asistio, 17, and Annika Asistio, 15-of child abuse. They faced off at the Quezon City Prosecutor's Office, where Montenegro alleged that Rama tried to punch her while the clarificatory hearing was going on. Later on, Montenegro also charged Rama with attempted murder. Rama, for her part, charged Montenegro with theft, claiming that the latter stole appliances and other home fixtures from her in 2010. <>Her accounting roar: In an interview with PEP.ph shortly after the fracas at the Quezon City Prosecutor's Office, Rama explained what had enraged her about Montenegro, "Sabi ko, 'Wala akong kasalanan.' Ang kasalanan ko lang, magbigay ng trabaho sa dalawang anak niya. Nandiyan ang mga bata, magdamag nagtatrabaho ’yan, kumukuha siya ng pera. Sabi ko, ’Bayaran mo ang utang mo sa akin!’ [Sabi niya] wala siyang utang. Kapal ng mukha niya! (I am not at fault here. My only mistake was I made an effort to find work for her two kids. They worked round-the-clock and she got money. I told her, 'Pay me what you owe me!' She said she didn’t owe me anything. She’s really shameless).'" <>Spat origin: Sometime in April this year, Rama's tiff with former actress Fuentes became a hot topic. The two engaged in a no-holds-barred Twitter catfight. Fuentes, who used to date Rama's husband Eddie Gutierrez, attacked Rama for allegedly wearing a red blouse at the wake of Joey Stevens, Fuentes' husband. Rama said that wasn't the case. At some point, Rama revealed that former beauty queen Gloria Diaz was somehow involved in the brouhaha. Diaz denied this. To this day, the real reason for the Rama-Fuentes smackdown remains unclear. Rama and Fuentes ended up suing each other. <>Her Twitter arsenal: After running into Fuentes at the birthday party of former President Joseph "Erap" Estrada, Rama tweeted, "Sa daming guest ni Pres Erap sa bday party niya last night, isang demonyita pa ang nakita ko (Out of all the guests at President Erap's birthday party last night, I just had to see a she-demon)." <>Spat origin: ABS-CBNNews.com reported that during the June 23 episode of TV5's Paparazzi, Ruffa Gutierrez's co-hosts-Cristy Fermin, Zoren Legaspi, Mariel Rodriguez, and Jeffrey "Mr. Fu" Espiritu-took turns in whispering questions to her. Viewers would not hear what had been asked. All four questions required Gutierrez to pick among three options for an answer-the names of her former boyfriends: Aga Muhlach, Zoren Legaspi, and Robin Padilla. One of the questions partly heard on air was 'Who has the biggest...?'" Gutierrez had exclaimed: "I am not answering that. Wala akong alam diyan (I don't know anything about that). Next question. Hindi ko sasagutin ’yan (I am not answering that)." Next thing the public knew, Gutierrez had announced that she was quitting the show because she felt she had been "disrespected." Rama quickly backed her up. <>Spat origin: On the evening of July 13-at the wake of Comedy King Dolphy, which was held in one of the rooms at the Heritage Memorial Park in Taguig City-Rama caused a scene when she reportedly went after showbiz reporter Chito Alcid. PEP.ph reported that some witnesses revealed that Rama had gone after Alcid with a "sharp object." The report also revealed that Rama and Alcid have pre-existing tension between them, as Rama has charged Alcid with libel. <>Her post-fight quip: According to the PEP.ph report, Rama logged onto Twitter sometime after the incident and addressed Alcid with this tweet: "Ito ang tandaan mong hayop ka, wag mong pakialaman ang mga anak ko dahil wala silang kasalanan sa iyo (Remember this, you animal, don't mess with my kids because they haven't done anything to you)." <>Art by Warren Espejo, with photos from PEP.ph.